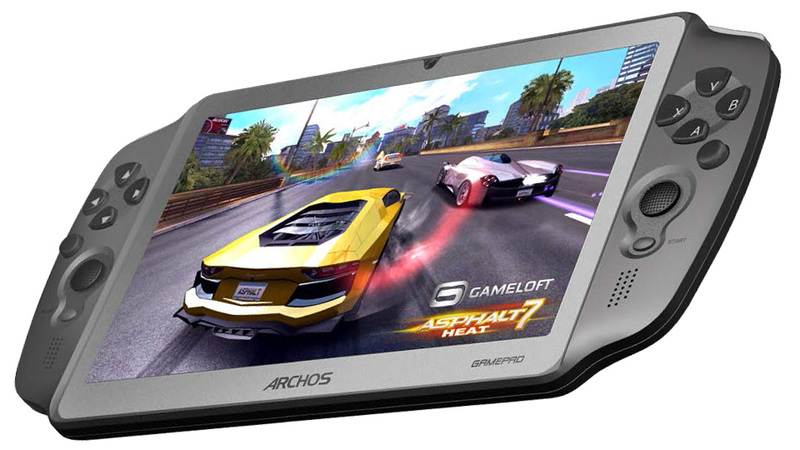 We were less than impressed with Archos' last attempt to provide Android users with a hardware alternative to a touchscreen interface. Its Gen10 XS tablet packed a nifty keyboard/cover combo, but everything else was downhill from there. So maybe the company has learned from its mistakes and can deliver a solid handheld gaming experience with its just announced Android GamePad. Hoping to squeeze its way into a dwindling market already dominated by Nintendo and Sony, the 7-inch GamePad will run Android 4.0 Ice Cream Sandwich, which takes advantage of built-in physical controls — including what looks to be a pair of analogue joysticks, a pair of four-way directional pads and a requisite set of shoulder buttons. Powered by a dual-core 1.5GHz processor and a Mali 400MP quad-core GPU, the GamePad also packs an HDMI connection, essentially turning it into a portable console.